The process of planning your estate can be a long and complex one. You might need to create legal documents and entities including wills, trusts, power of attorney and more. That’s why many people choose to work with a professional to guide them in the process. While a financial advisor can walk you through the basics of building a financial plan that takes care of your family, it’s also a good idea to work with an estate planning attorney. An estate planning lawyer is just what it sounds like: An attorney who specializes in handling estate planning matters. In terms of certifications, an estate planning lawyer is no different than a lawyer that specializes in mergers and acquisitions or personal injury suits. Regardless of specialty, they still have to pass the bar exam for the state in which they practice. The difference lies in the specialization that estate planning lawyers acquire through years of experience working on estate planning issues. Estate planning lawyers may also have additional certifications in the realm of estate planning. We’ll explore those later in this guide. An estate planning lawyer’s duty can be wide ranging, but they all center around one goal: to assist clients in preparing for the end of life and the financial legacy they’ll leave. This assistance can manifest itself in a number of ways. Most notably, estate planning lawyers can help you write a last will and testament or set up a trust. Your estate planning lawyer can also help you minimize estate and inheritance taxes. Once you pass away, she can assist the executor of your will in transferring assets to your beneficiaries, as well as help navigate the probate process if necessary. Further, an estate planning lawyer can help you ensure that you’re prepared for end-of-life scenarios in which you’re unable to make your own decisions. This will typically involve assigning power of attorney, drawing up a living will or creating any other kind of advance directive. A good estate planning lawyer can serve as a legal guide through all the aspects of preparing for the end of your life. To find an estate-planning attorney, you may be able to get a referral from your state bar association. Your financial advisor can also likely recommend one; they likely have an attorney to whom they regularly refer clients in need of estate-planning services. A lawyer who specializes in estate planning won’t necessarily have any special certifications or letters after their name to distinguish them from any other lawyer. Rather, they’ll simply refer to themselves as estate planning lawyers or estate planning professionals. Their entire practice may be explicitly focused on this specialty. 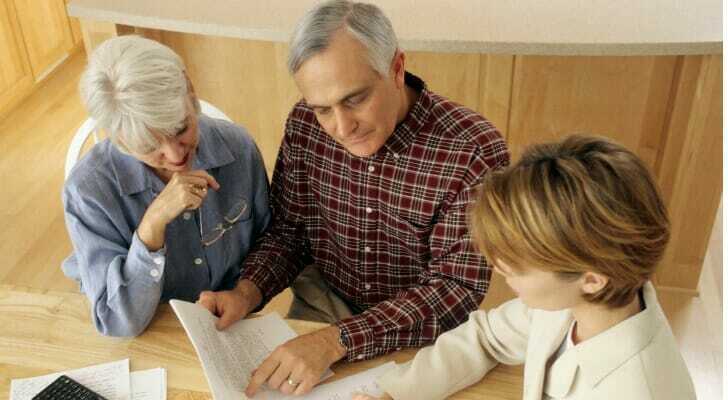 They may also discuss the areas within estate planning they have experience in. You will, of course, need to work with an estate planning lawyer who has passed the bar in your state. State-specific expertise is particularly important when it comes to estate planning, as laws and probate procedure differ by state and even on the local level. On a less technical note, you should look for an estate planning attorney who puts you at ease. After all, you’ll be working closely with this person during a sensitive time in your life. More often than not, you’ll need to disclose a great deal of personal information, including your wishes for after you die. That entire process will be significantly easier if you feel comfortable working with your attorney. While an estate planning attorney doesn’t necessarily need separate certifications to practice estate law, some choose to attain further accreditation. Some of these certifications are available to professionals who aren’t lawyers, such as financial advisors or accountants. Minimum of five years of experience in estate planning. Must complete two graduate level courses through the American College of Financial Services. Must complete a minimum of 30 hours of continuing education every 24 months, of which at least 15 hours must be in estate planning. Completion of at least five approved and related courses. Completion of a certification training course. A minimum of three years of experience in wealth management. Completion of at least one approved wealth management training program. Completion of 45 hours of continuing education every three years. Planning your estate is a complex endeavor with countless decisions from start to finish. An estate planning attorney can help to light the way and determine a plan that makes the most sense for your unique situation. With the help of a qualified professional, you can go into the estate planning process with confidence, knowing that your plan will be airtight. It’s never pleasant to think about, but there may come a time where you’re unable to make decisions for yourself. For these scenarios, a living will or other form of advance directive can help ensure your doctors and loved ones know how to best respect your wishes. To maximize the legacy you leave to your heirs, you need a comprehensive financial plan and a smart investing strategy. A financial advisor can help you with both. To find an advisor near you, use our free financial advisor matching tool. Just answer some questions about your finances, and the tool will match you with professionals in your area. The post What You Need to Know About Hiring an Estate Planning Attorney appeared first on SmartAsset Blog.